Till now, we’ve answered some of the most popular questions among parents of newborn babies like when do babies crawl, when do babies starting talking etc. This article covers yet another popular question that worries all new parents- when do babies start eating baby food? Since the very moment the baby is born, its parents go crazy trying to figure out what all they must do to take care of the baby and ensure its proper growth and development. 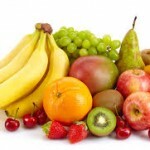 Food and nutrition is a very important factor that contributes towards the healthy being of a baby. In this article, we will tell you how to feed your child in the initial years of growth and when. As per WHO, as soon as the baby is born it must be subjected to only mother’s milk as the body is yet to develop immunity and mother’s milk is the safest and cleanest source of nutrition for the baby’s body. In case of premature babies, instead of mother’s milk a clinically tested chemical formula of mother’s milk is fed. This artificial mother’s milk contains more nutrients than natural mother’s milk which is essential for the growth of the premature baby in the initial days after its birth. Pediatrics also advice that up to the age of 4 months, the babies should just be fed mother’s milk or formula milk, depending on the condition during birth. At this stage, the baby’s digestive system is still developing and hence solid food is completely off the table. By this age, the baby’s digestive tract is developed up to a certain limit and is open to various other liquids apart from mother’s milk or formula milk. Though Pediatrics suggests that the baby should be fed mother’s milk till the age of 6 months, you can introduce water or artificially flavored milk (clinically tested and approved by doctors). By the age of 7 months, the baby starts showing initial signs of readiness for semi-solid and solid food. What all can I feed my baby at this age? What should be the ideal amount of food that can be fed? It is important to understand that at this age, the baby has “just” become ready for consumption of semi-solid and solid food and is not completely ready to digest a lot of it. We’re sure that by now you must have started understanding when do babies start eating baby foods. At this age, the baby is completely read to ingest and digest solid food. The readiness level is at an 85% at this age. As teething progresses, you often notice your baby trying to chew on toys or objects that it encounters. This is the very sign that your baby wants to chew on some yummy treats and is feeling hungry. At this stage you are far away from the question “when do babies start eating baby food” as at this age the baby is development enough to consume food other than baby food. By this age the teeth are completed developed and it becomes easier for the baby to chew and swallow. The baby also starts using spoon and asks for more food when feeling hungry. As far as the portion sizes are concerned, by now you must have become a master and will be easily able to assess how much food your little one requires to be happy and healthy throughout the day. If you notice your baby trying to vomit or puke, stop feeding immediately and rush to a doctor. The baby may have got some food stuck in the food pipe. You must be thinking that we have not talked about artificial baby food anywhere in this article. Well, that is because natural foods are far better than processed and artificial foods and contribute a great deal in the healthy development of your baby. 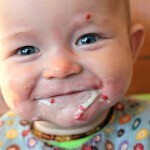 Hope you had a great time reading on the topic “when do babies start eating baby food”. «Next Post Signs of depression in teens that go unnoticed!